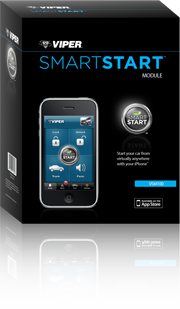 Starter,arm/lock,disarm/unlock,trunk, and panic from your iPhone!!!! This was released 3 days ago by Viper. 1. 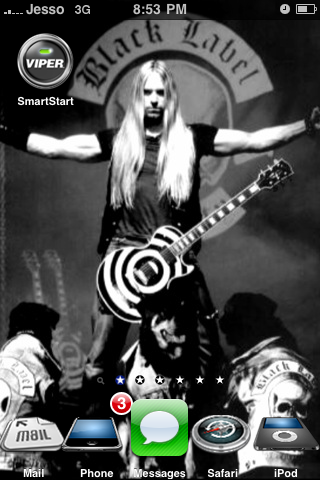 Download the free Viper SmartStart application to your iPhone or iPod Touch. 1. An iPhone or iPod Touch (iPod Touch requires Wi-Fi connectivity for this application). 2. 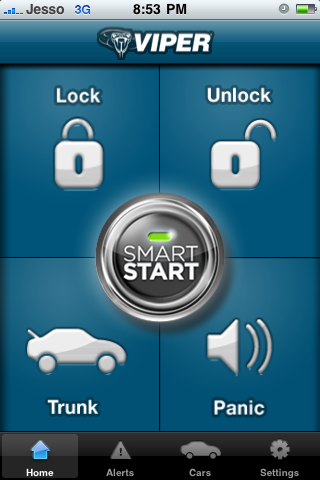 The Viper SmartStart application, downloaded to your device. 4. The SmartStart service plan. A one year service plan included, and renewals are only $29.99 a year. I forgot to mention it works from anywhere in the world. range is no longer an issue. Im in china and my dad needs to borrow my golf clubs. I can open my trunk from china. Just an example but you get the picture. will the touch with wifi connect directly to the car let's say there's no public wifi available? Even with the iPhone what happen if there's a data outage? I love new technologies but sometimes it scare me... Big brother watching? I'm not sure about that. I don't have mine hooked up yet I'm just waiting for it to arrive. I only have the app so far. Im still going to keep the keychain remote anyways just incase. haha you smash your phone or kill you battery, left stranded somewhere with your alarm on. but then again you can still disarm the alarm with the valet button.But most people wouldn't know how. Another concern, this is just a gateway for theives, it will be only a matter of time before a theif can create an app that will scan and replicate signal...then your out a car cause your alarm thought it was you!!! 1.I have the iPhone and I never leave it in my car. Ever.plus I would still have keychain remote. 2.Theif's not going to know I have the smart start system just by looking at my car. I'm not to worried. I have a 2 way system with back up battery siren. My deck is detatch face and my trunk has no key hole and the trunk popper has been disabled. 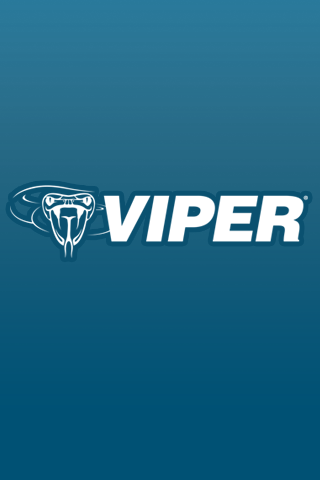 Not me mention the guarantee viper offers if your car gets stolen with there system installed. I trust viper. There systems are secure. How to deaden trunk lock rattles? Quick Reply: Starter,arm/lock,disarm/unlock,trunk, and panic from your iPhone!!! !